Acc: I find myself returning to MQ after not playing for a week. Acc: Got the Cursed Tape. Acc: Got the OmnKnight energy blade. ACC: Got 2 SC characters up to level 34, in one case unlocking the use of the Reaper's Timeglass. DIS: Rediscovering new old bugs all the time. I'll have to revisit that nostalgia thread. DIS: Reminded just how deceptively barren Soluna actually is. ACC/DIS: Nothing like a good ol' Mechquest binge with only a month left for finals and 12 hours left before I start picking classes for next semester. ACC: Sepulchure of Doom! Finally! @forumlogin: please report all the bugs you found. Please? It would really be a huge help. Thanks! ACC: Ran through Necroyptos Extreme A and B, both won. I'll upload a video and *maybe* a commentary of me doing things on it. ACC: Beat the Extreme Void Doom Lord without losing any HP. ACC: After an extremely long time away, and help from the support team, I'm back! ACC: Free gold mechs are powerful and free. Helped out greatly. ACC: In less than a day, I grinded nearly 500k credits in case of a really good level 30 nsc mech. DIS: As epic of a day I had, still not SC. DIS: I gotta go through a good chunk of remaining story quests. DIS: That temp. level 10 character I made is gonna prob gather dust now. ACC: Returned after a very long spell. Level 35!! DIS: I have finished the story quests. DIS: Stopped by Planet 51 and discover a new Challenge. Got whooped so many different ways by TeraVolt!! Badly whooped .. Wonder if Ultratron mech would help. DIS: How do people beat mechs with over 2k HP? DIS: Burned out 11k nova gems in one day to do the above. a least i won't be selling anything for a while, unless it's to swap out things for new things. 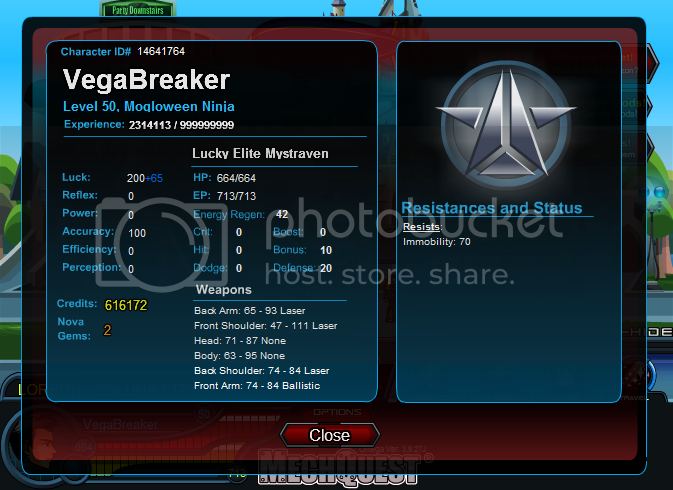 DIS: This will probably be the last time I ever buy nova gems (or anything artix related for that matter). Unfortunately money doesn't grow on trees for me anymore. And I believe I've spent far too much in the past. I might once I find a stable source of income, just to get some of those heromart OP items. ACC: I finally beat that OP Void Doom Lord after I realized it was equippable and tore off its head and front arm. It was still a battle of luck because that thing is strong even unbuffed since it has passive 25 Boost and 15 Crit. Plus I'm basically screwed if it uses its Body to buff its Defense to nigh-unhittable and lightning strike stun me. 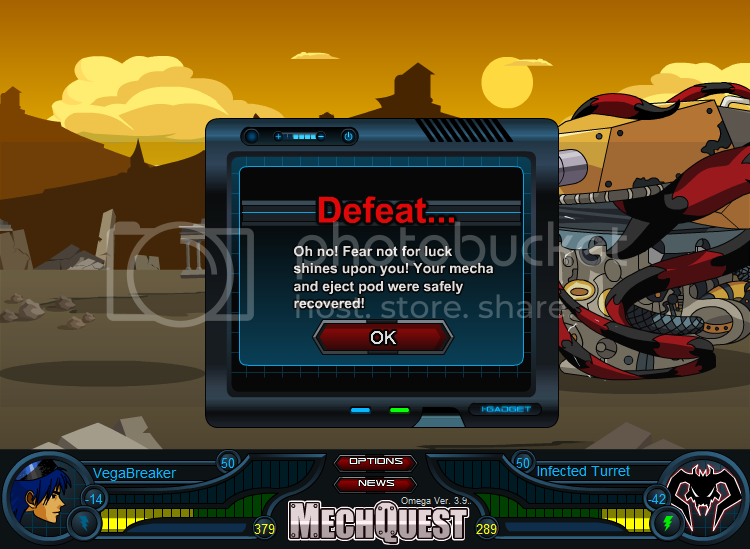 The Void Raptor/Werewolf mechs really should be stronger considering you had to go through freaking Teravolt and Doom Lord to unlock the 3rd challenge in the first place. ACC: Beating both planet 51 new challanges. Took a while, but I FINALLY hit level 50 tonight. Heh. DIS: Decided to switch from my main character to a completely new one. Although my main had some rares, there was a lot of stuff i missed or I had no memory of doing. I decided to restart from the beginning for the complete experience. On that note does anybody have tips for a leveling NSC character? I know you "get rid" of them by losing, but i wasn't satisfied with that, so I legitimately beat him! WierdACC:I think Eddie who is our Vehicle Salesman looks a bit like Tom Cruise. MEGA ACC: Beat all Planet 51 challenges, including the Void Doom Lord, as a level 29 NSC player without using nova gem equipment and with a full luck build. How's that for an accomplishment? ACC: Got to level 30!